News site Vocativ uses intelligence-gathering software to dig into the Deep Web. Librarians, of course, want to mine this information for their patrons’ research needs, but a news site that launched in October called Vocativ is using software formerly used by bleeding-edge financial analysts and intelligence agencies to dig up highly unusual stories. Some of Vocativ’s stories tend toward the salacious and sensational, but they are never boring, and never what you will see anywhere else. When scientists want to study Oncorhynchus rastrosus, the saber-toothed salmon, they have to treat the fossil skull housed in the University of Oregon’s paleontology department with great care. Its age and porosity make it nearly impossible to handle without damaging it. Displaying it to the public is out of the question. However, paleontologist Edward Davis did have a CAT scan of the remains, and science librarian Dean Walton has used that data and a MakerBot Replicator II to make a 3D plastic replica which can be handled, measured, and used in displays and demonstrations for the public. 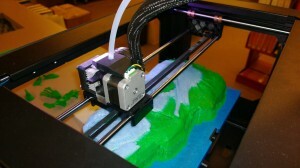 Other scientists are lining up to print their own bones. Next up is anthropologist Stephen Frost, who intends to print plastic copies of samples that he usually travels to Africa to work with. No word on whether UO will make the models available for home printing via Thingiverse or another repository of 3D-printing instructions. As social media continues to grow as a “source” of information, knowing how to cite these sources will become increasingly more important. 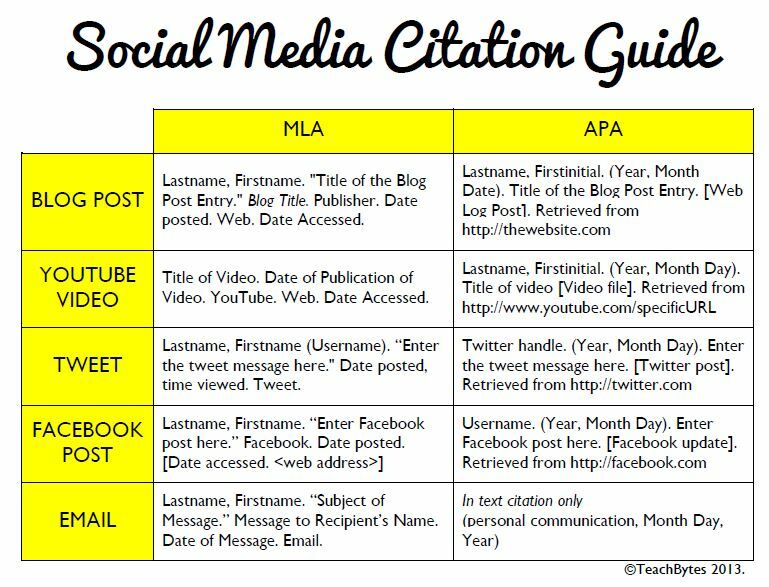 Here is a graphic that shows the APA and MLA styles for citing some social media sites. Digital Learning Report Card — How does Oklahoma Fare? It is said that education is our nation’s great equalizer. Ensuring the next generation of Americans has an equal opportunity to achieve success is a fundamental principle of our educational system. There are many who feel that digital learning has the potential to accomplish this important task. Digital Learning Now! is one of those entities that espouse this philosophy. Digital Learning Now! 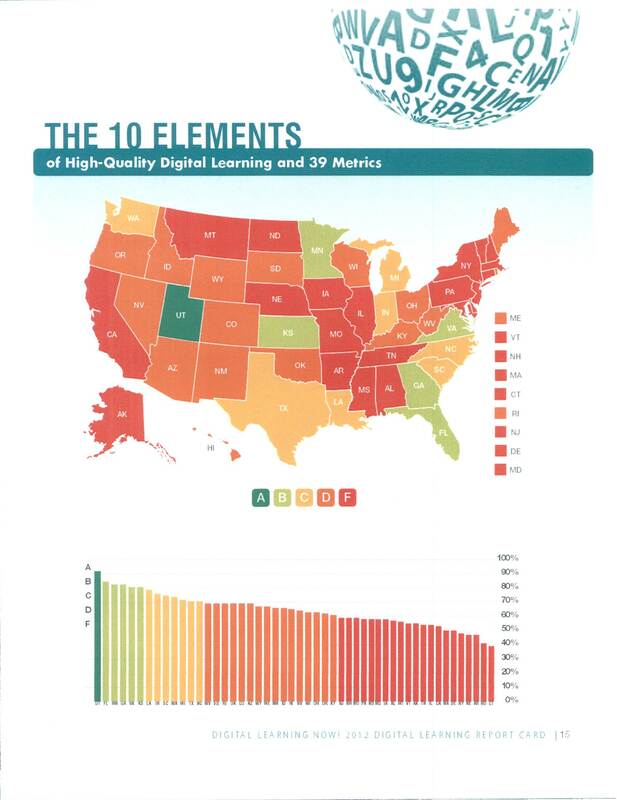 recently released the 2012 Digital Learning Report Card, which measures each of the nation’s 50 states against the 10 Elements of High Quality Digital Learning as it relates to K-12 education. How does Oklahoma fare? It doesn’t look good folks! 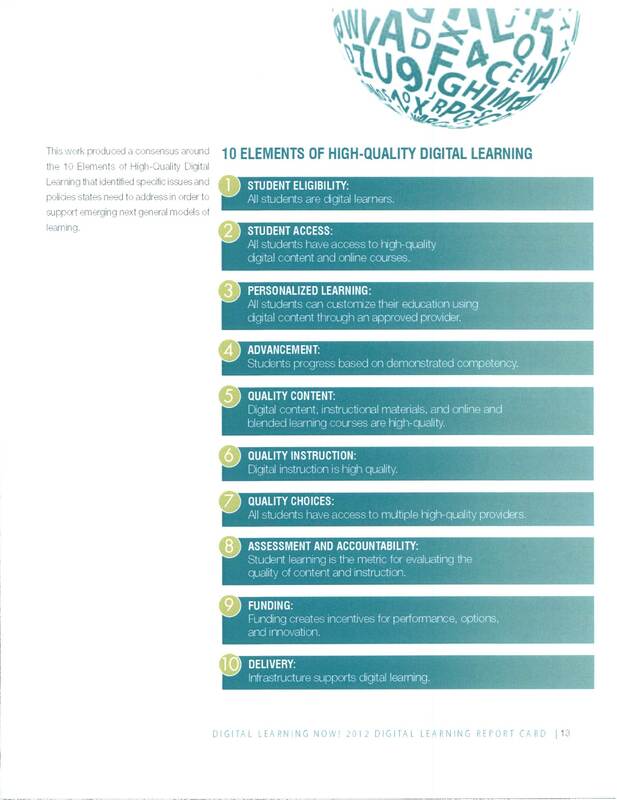 Read on for more information: This work produced a consensus around the 10 elements of high quality digital learning that identified specific issue and polices states need to address in order to support emerging next general models of learning. Where does Oklahoma stand, you may be wondering? Well, the state’s overall score is a 69% — that’s a D+ when combining all ten digital learning element scores. One of the most encouraging findings from Digital Learning Now’s research is that more than 700 bills involving digital learning were considered in 2012, with over 150 signed into law. Along with DLN, it is encouraging to know that leaders in nearly every state proposed or enacted policies to advance digital learning since the release of DLN’s first state report cards in 2011. Examples from Oklahoma include SB 1816 signed on June 8, 2012 that created the statewide Virtual Charter School Board, and SB 169. It establishes that a virtual education provider that offers full-time virtual education to students who are not residents of the school district with which the provider is contracted shall be considered a site within each school district and subject to the state’s accountability system. To learn more, check out the report. Also, check out the Digital Learning Now Report Card website which features an interactive map, a tool to compare state scores and downloadable state profiles for more details on where Oklahoma stands when it comes to providing high quality digital learning. Happy April! Did you know that the Library of Congress is an excellent resource for help in finding materials for your classroom (primary sources, presentations, lesson plans, etc.)? Why not check out the world’s largest library and see what they have to offer? Here’s an infographic (courtesy of BestCollegesOnline.com) that outlines some of these resources.